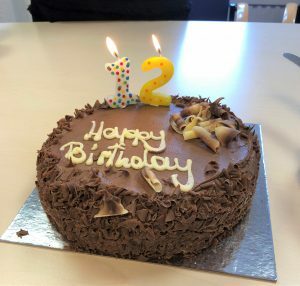 Hip Hip Hooray, we are 12 today!! What a better way to celebrate our success than with a slice of chocolate cake too. We have had a great 12 years and all of us here at Langton Howarth are looking forward to celebrating many more.